Buy Noell Cosplay a Coffee. 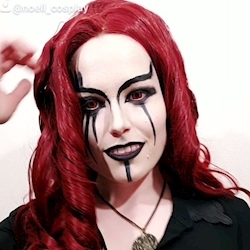 ko-fi.com/noell_cosplay - Ko-fi ❤️ Where creators get paid by fans, with a 'Buy Me a Coffee' button. Hello there and welcome! The name's Noell and I'm a cosplayer looking to go professional because I love creating, I love sharing, and I LOVE geeking out with fellow fandom followers. All Ko-Fi proceeds fund future cosplay projects, which will be shared on my Instagram. Thank you so much for your support! Secured Payments. Support goes to Noell Cosplay's account. Upgrade Noell Cosplay to a yearly Gold Membership with a one-time payment.